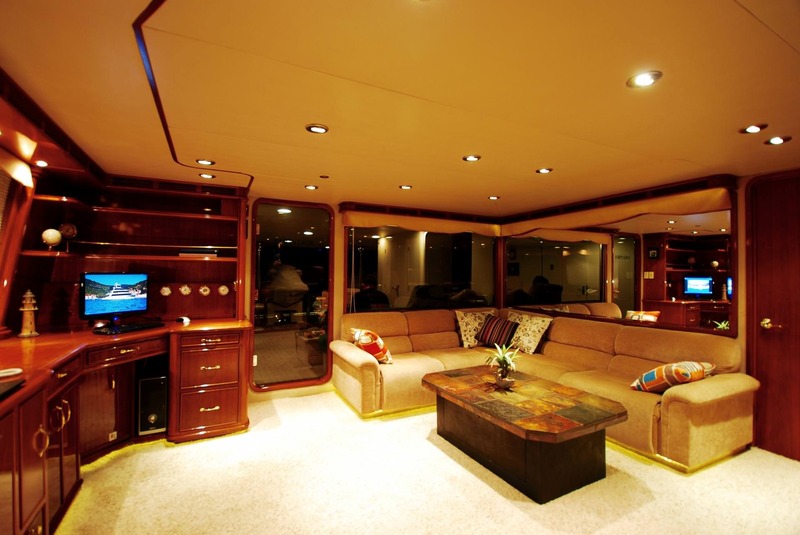 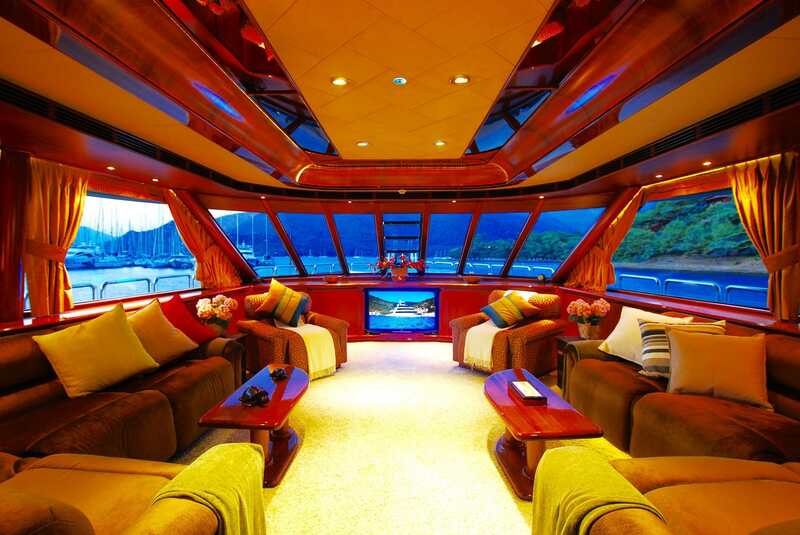 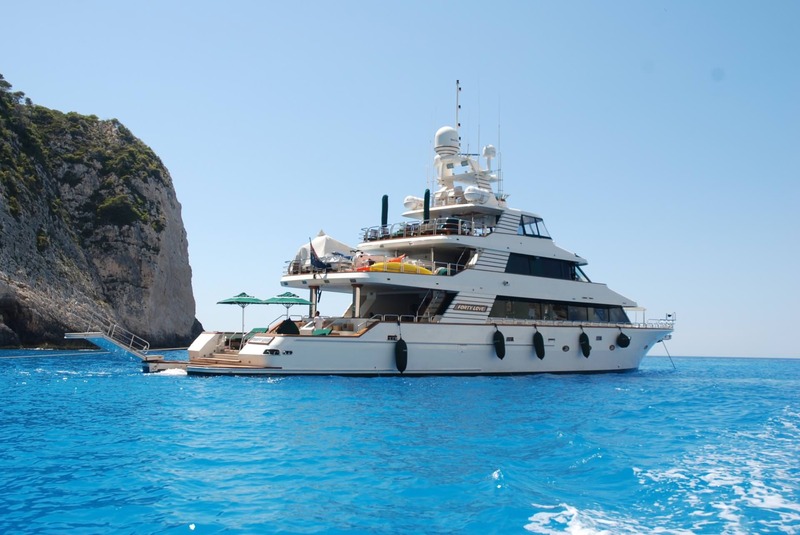 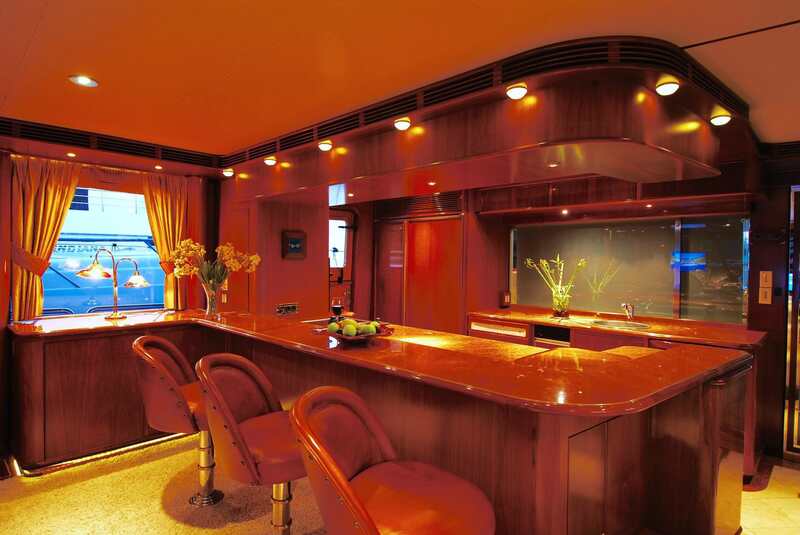 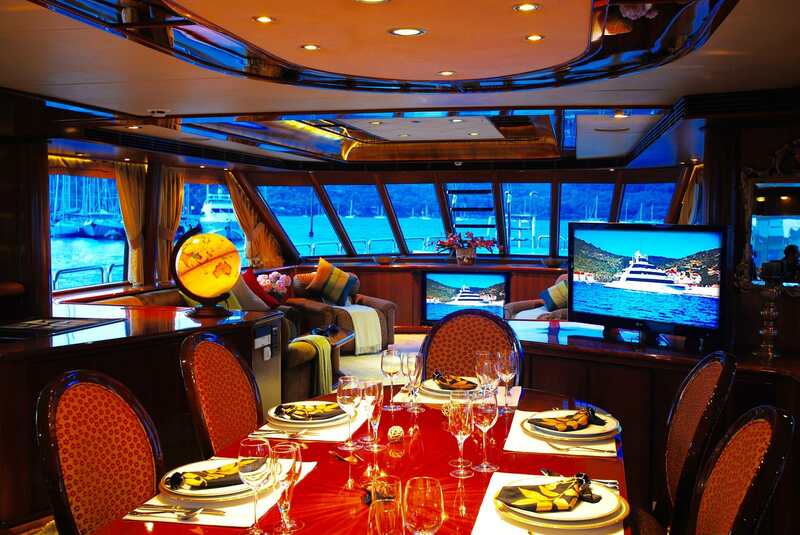 FORTY LOVE is a spectacular 42 Feet yacht that is perfect for an unforgettable yacht vacation. 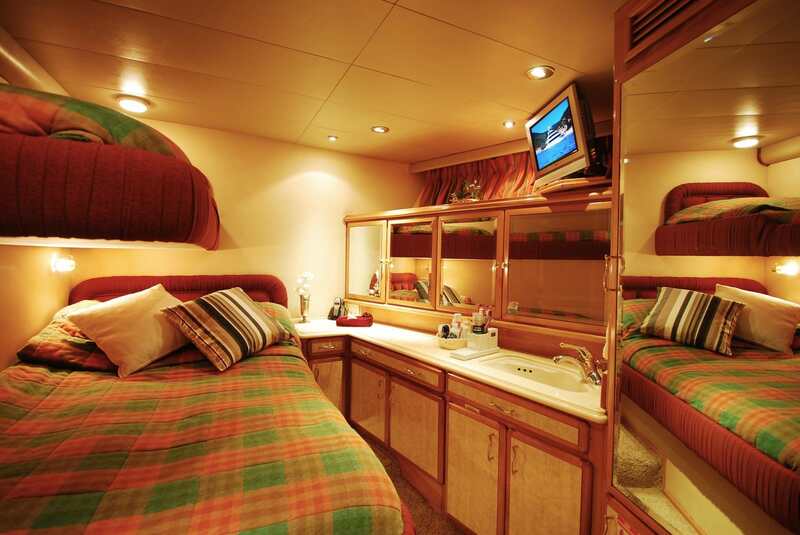 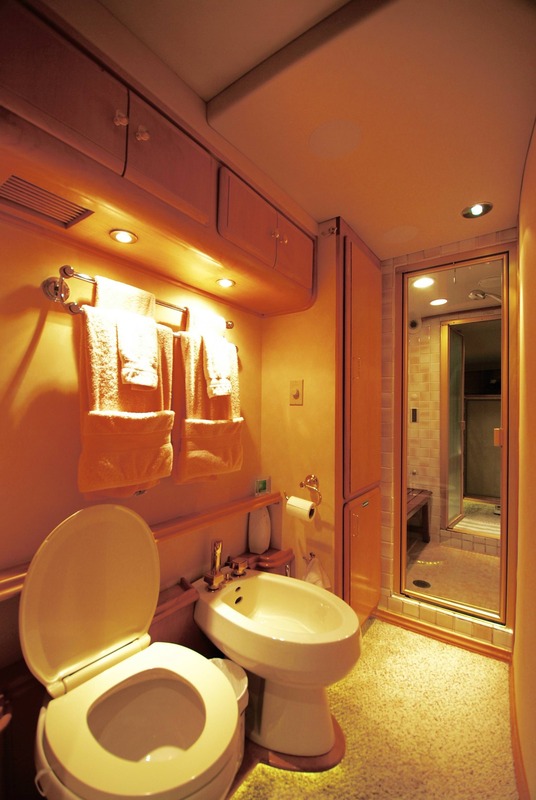 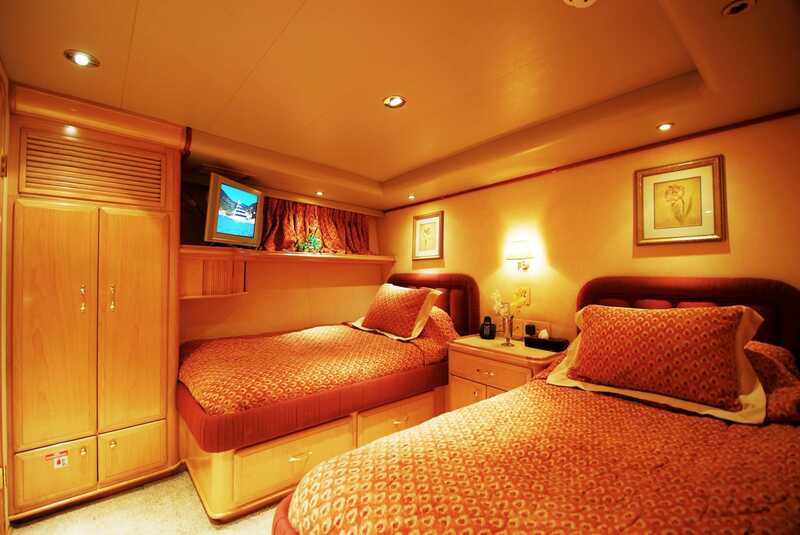 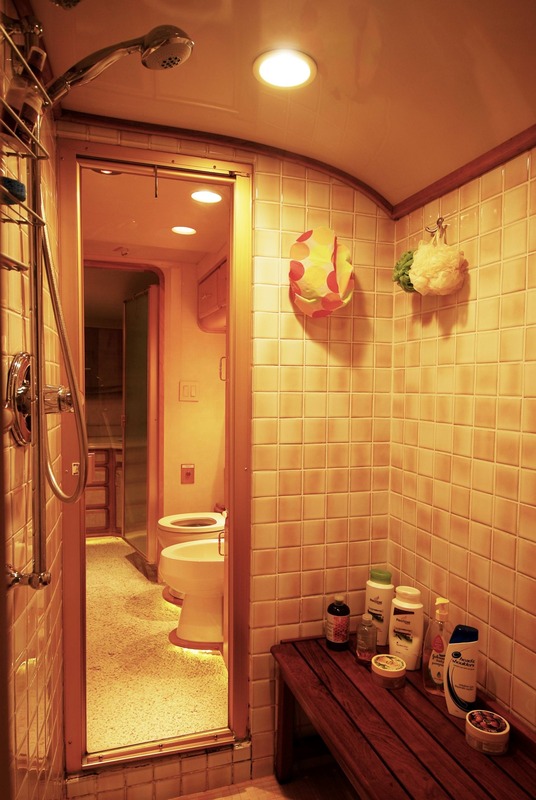 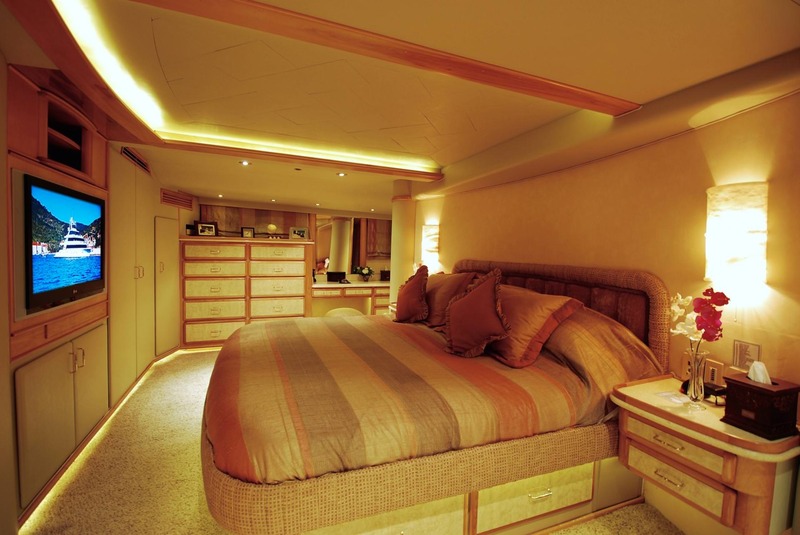 The yacht is designed to sleep 12 people in 6 cozy cabins. 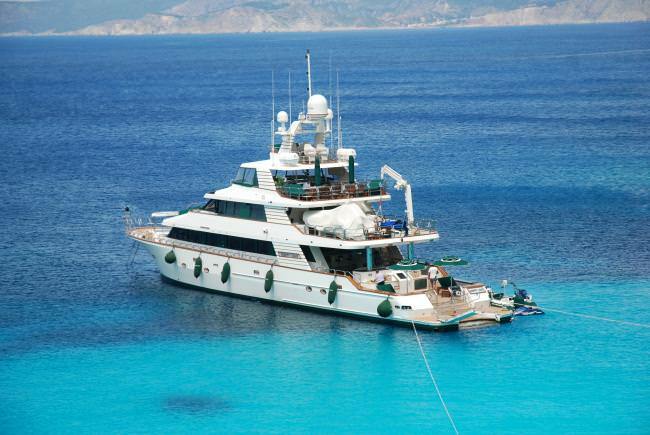 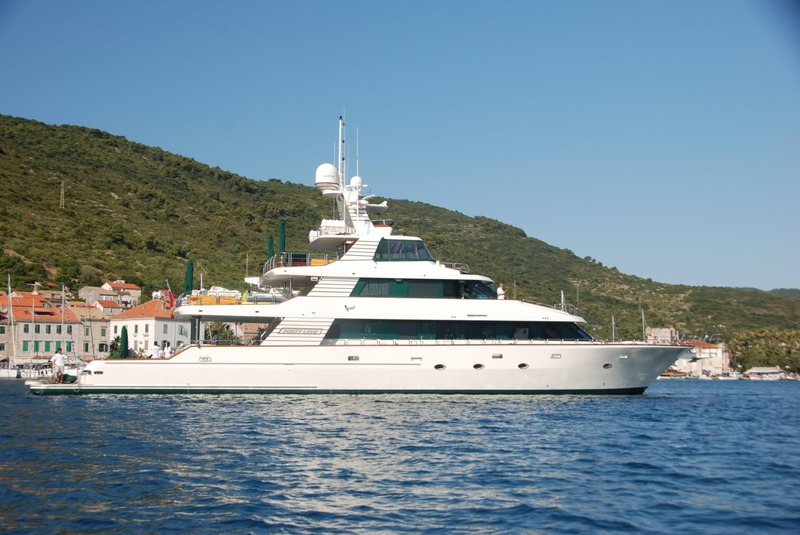 FORTY LOVE yacht was built in 2004 by Westport. 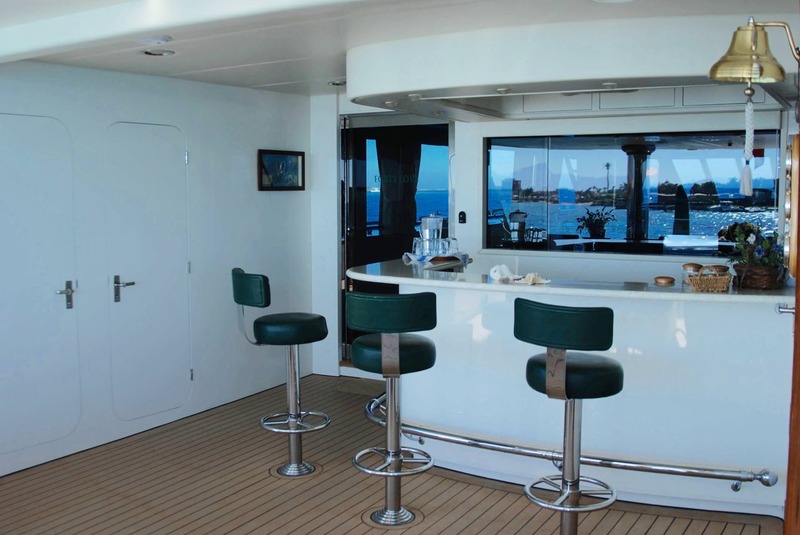 The yacht is equipped with Main Engine : 2 x Caterpillar @ 1350 hp Generators : 3 x Onan @ 99 kW engine, and is capable of a top speed of 17 knots. 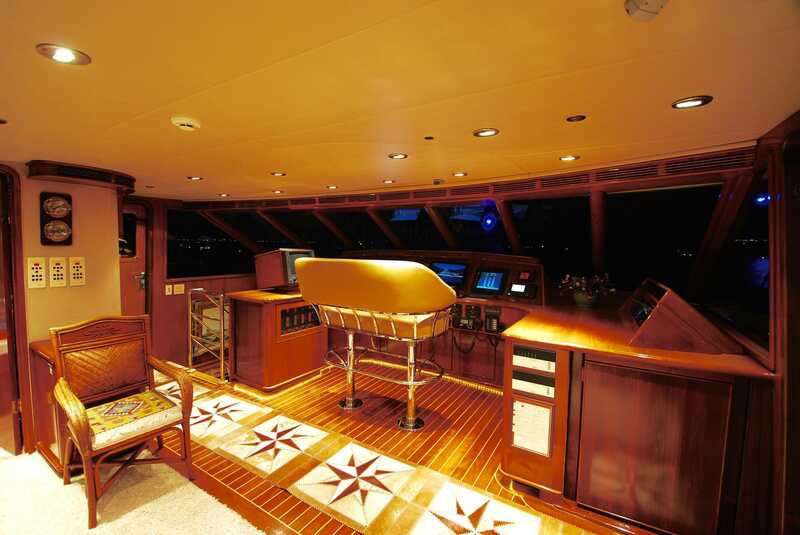 The yacht has a cruise speed of 12.5 knots. 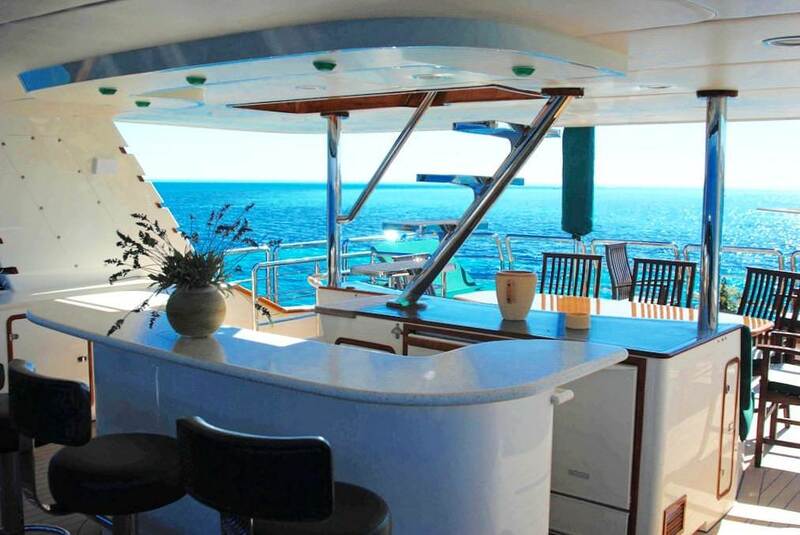 You and your guests will love this yacht as it offers lots of amazing features and entertainment, such as: Salon TV, Crew Smokes, Salon Stereo, Satellite TV, BBQ, Pets Aboard, Deck Shower, Water Maker, Internet Access, Dinghy HP, Wave Runners, Fishing Gear, 1 Pax Kayak, Sailing Dinghy, Snorkel Gear, 2 Pax Kayaks, . 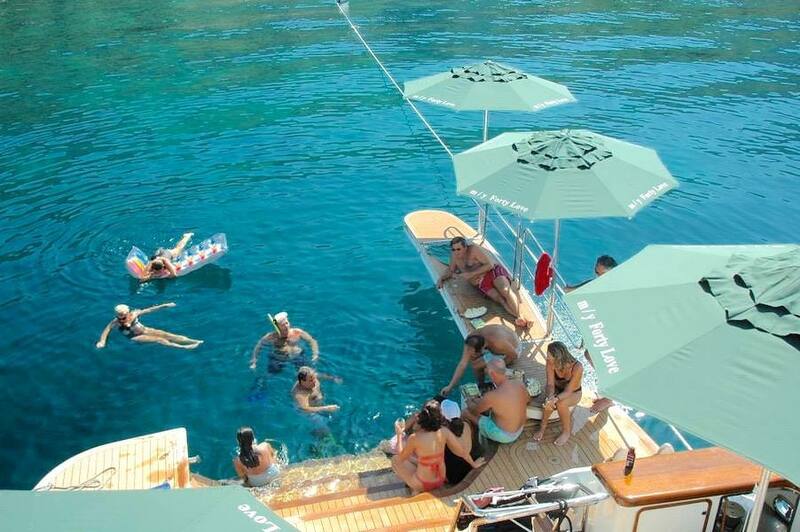 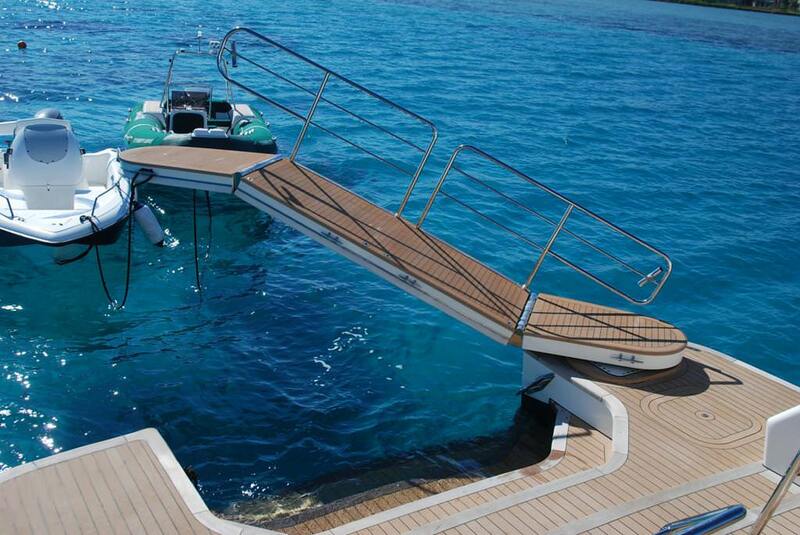 The yacht is open for chartering in Marmaris, Turkey. 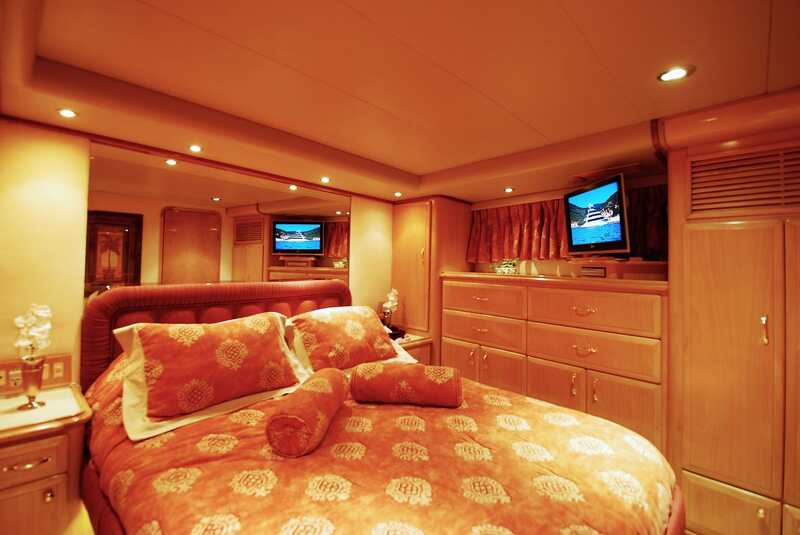 You can charter FORTY LOVE for $ / 4 hours or for $ for 8 hrs. 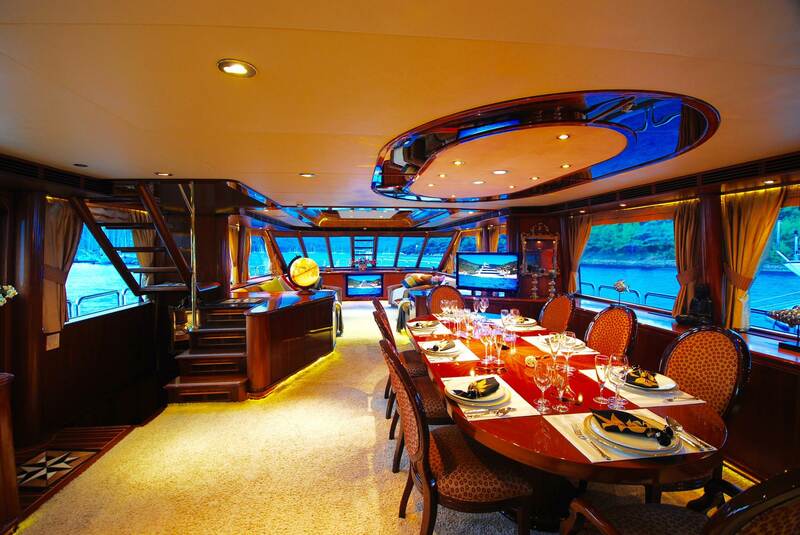 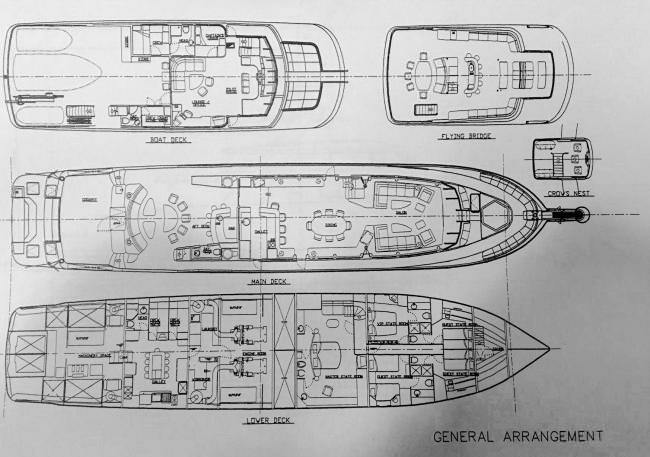 The yacht comes with 11 crew members.